Shopping during pregnancy can be so fun, but do you hear yourself thinking “so much stuff, so little space!” every time you walk down the gear aisle? Don’t worry; you’re not alone. One of the challenges we often see while we are providing Washington, D.C. newborn care is small living spaces due to the limited space for residences in the city. 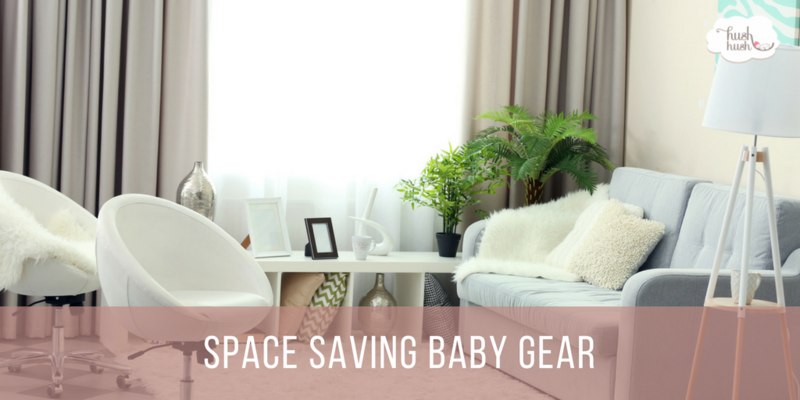 In this blog, we will walk you through some of our favorites for clients who need functional, yet space saving gear for their little ones. Folding Luxx Baby Bath Tub – I absolutely love this collapsible bathtub for small bathrooms or homes. If you’ve ever seen a regular baby tub, they are big and bulky. They have a huge footprint and take up a ton of room when they are being stored. For the convenient storage when not in use, the Luxx Baby Bath Tub wins this Newborn Care Specialist’s heart. GB Pockit Stroller – While it’s likely your little one will be a bit older before they are strong enough to support themselves in an umbrella stroller, the Pockit, hands down takes up the least amount of space. Sufficiently small to fit in the overhead compartment of an airplane or in a bag, this stroller broke the mold of umbrella strollers when it was brought to the market last year. Phil and Teds Lobster High Chair – A high chair is a baby essential in my book. Our main living space is less than 1000 sq. feet so having items that are space saving are necessary. In providing Washington, D.C. newborn care, I have found small footprints to be common. In fact, our living area is so small that we don’t even have space for a family table. Instead, we have a three person bar. For us, getting rid of our standard high chair was a game changer. We recently got this high chair, and I am no longer tripping over or stubbing my toes while I am getting dinner ready for my family. mamaRoo Swing – While I don’t think swings are an acceptable place for infant sleep, I do believe that they can be a great tool for parents when they need a break from holding their newborns. The mamaRoo swing by 4Moms takes up far less room than the traditional swing, and it sits lower to the ground. This swing fits beautifully in a corner or up against a wall. Here at Hush Hush Little Baby, many of our Newborn Care Specialists are gear experts. We’ve had opportunities to try and work with many of the products available on the market. If you have any questions, feel free to ask your Newborn Care Specialist if they have any recommendations based on your space, or we can even consult with you to provide a personalized registry list. If you know of someone who is looking for newborn care in Washington, D.C., Tampa, San Antonio, Houston, or Richmond, VA, please contact haleigh@hushhushlittlebaby. We’d love to be of service to your family.